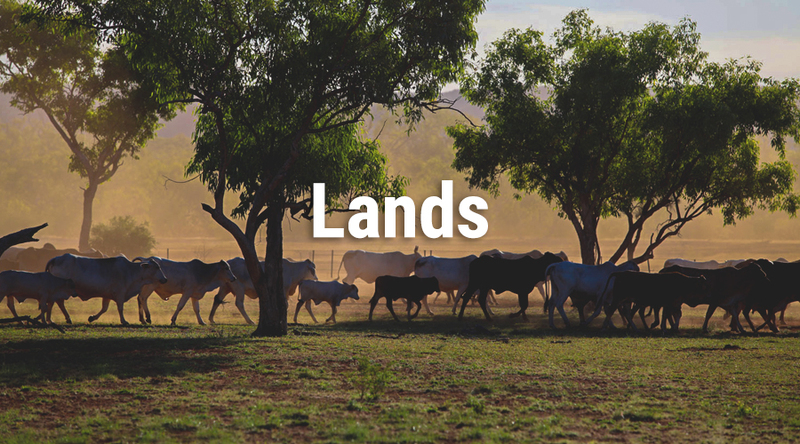 Rural land use, including the production of food and fibre, should contribute to biodiverse native landscapes; clean water and clean air, and be sensitive to Aboriginal heritage and cultural land use. As the most arid inhabited continent , Australia's fragile ancient landscape must be protected from competing and unsustainable land and water use to safeguard productive agriculture supplies and our vital national assets. Sustainable agriculture cannot be delivered without a skilled workforce and an Australian population that understands and values our food systems and ecosystems. Animals are an integral part of farming systems and, as such, managers must ensure the physical and psychological wellbeing of animals in their care. Ongoing innovation, research, development and education are essential to maintain and improve the sustainability and prosperity of Australian agriculture and ecosystems. The spread of invasive pests, diseases and weeds presents a significant threat to ecological integrity and agricultural productivity, and must be proactively managed. Genetic diversity of both natural and agriculturalecosystems is essential for the health and resilience of these systems and should be protected. The Precautionary Principle, as defined in the Convention on Biological Diversity, ought be applied to all new agricultural technologies and their use in the environment. The distance between where food is grown, processed and consumed should be minimised. Ensure appropriate land management practices are adopted, including those relating to the restoration of degraded lands and habitats. Protect land of ecological or cultural significance and ensure land-holders are adequately compensated. Introduce an effective, well-resourced, and tenure-free biosecurity system that protects agriculture and the environment from pests, weeds and diseases. Guarantee bushfire risk management is well resourced and species-sensitive. Ensure native vegetation/forest corridors exist across all land tenures to link reserves and maintain biodiversity. Ensuring the provision of adequate funding to organisations and programs involved in the restoration, maintenance and protection of high conservation-value lands. Integrate, support and encourage pest-management schemes that minimise chemical use. Ensure the extent and impact of soil degradation is reduced and implement strategies to improve the management of our soil resources. Encourage diversity of land use and provide support to small-scale and diversified farming operations. Secure the quality and efficiency of our water resources in agricultural systems, thereby safeguarding native river and wetland ecosystems. Ban broad-scale native vegetation clearing and work towards the protection and restoration of native vegetation and biodiversity, including within agricultural systems. Provide drought assistance and other incentives for land managers whilst also encouraging long-term risk-reduction strategies, including adaptation to likely outcomes of climate change. Remove inappropriate barriers to the consumption of natural foods, including those on hemp products. Engaging with resilient rural and regional communities in the research, development and education of sustainable natural and agricultural landscapes. Introduce and support initiatives that increase local production, value added, distribution, and fair prices for farmers. Develop and implement an effective framework that includes financial incentives, pricing mechanisms, education services, and regulation in order to ensure that farmers and land managers are rewarded for the repair and maintenance of ecosystems. Working towards a high-level target of 5,000 rangers (see Greens (WA) policy on Indigenous Rangers). Maintain the genetic diversity of production species and ensure they remain unrestricted through privatisation of genetic material. Implement measures to minimise waste in food production systems en masse, including production, transport, packaging and consumption.